All sorts of issues can occur when a 3D printed part has a defect, and researchers around the world continue trying to find new ways to detect these defects before they cause too many problems. Now, two researchers from the Department of Industrial and Manufacturing Systems Engineering (IMSE) at Kansas State University are taking on the challenge as well. Not all 3D printers have a designated system for tracking and monitoring 3D printing progress during the job, which means that some parts will continue to print even if there are defects. Ugandhar Delli and Dr. Shing Chang from IMSE have proposed a new method to monitor the 3D printing process by pausing the system at different checkpoints, in order to take stock of things and find any defects; then, corrective actions, such as stopping the print if defects are detected, can be taken if necessary. Image taken at a checkpoint. Production-scale 3D printing operations especially need automatic process monitoring, as finding defects and halting the prints during the critical stages of the process can not only save money but also cut back on material waste. Delli and Dr. Chang published a paper on their research, titled “Automated Process Monitoring in 3D Printing Using Supervised Machine Learning,” that details their new process monitoring method in the Procedia Manufacturing journal. 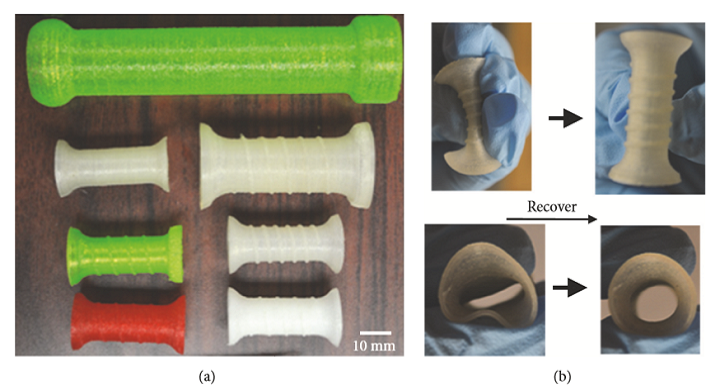 The researchers used a LulzBot Mini 3D printer for their research, which involved checking on the part during the 3D printing process at multiple checkpoints; these are defined as critical stages where there is a major change to a part’s geometry. Identify the proper checkpoints for the 3D printed part according to its geometry. Take images of the semi-finished part at each checkpoint. Perform image processing and analysis. Basic concept of Support Vector Machine (SVM). The researchers concluded that their method could detect both structural or geometrical defects and completion failure detects. However, it’s not 100% foolproof just yet. Delli and Dr. Chang believe they could improve the method by in situ camera mounting on the print head. In the future, they will also work on studying the impacting factors for selecting the appropriate print checkpoints.